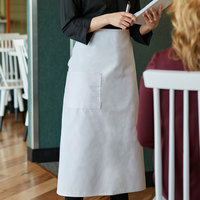 Keep employees looking crisp and uniform with this Choice 12" x 26" white front of the house waist apron! Both efficient and stylish, this Choice apron features long ties for an adjustable, superior fit. Plus, its white color can be used to match any restaurant, bistro, cafe, or catered event's unique theme. Protect your barkeep or waitstaff from inevitable messes while changing kegs, taking orders, or serving customers with this versatile apron! "These are great basic white aprons for any waitstaff! Easily holds guest checks and pens! Nice for a bartender as well! A price that cant be beat!!" It offers a sleek, clean look and will help create a sophisticated appearance in any establishment. Kitchen staff will look picture perfect staying on top of hot coffee and ice water refills, running steamy tomato soup specials, and topping apple pie with a dollop of whipped cream in this white apron. 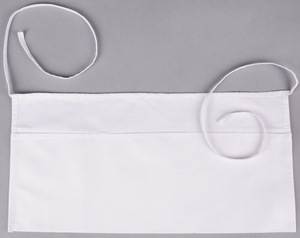 Item #: 167051WH Choice White 4-Way Waist Apron - 17" x 36"
I wasn't for happy with these, Look great then you take them out of the package but after you wash them they tend to start raveling. Great price but I could not buy them again. WONDERFUL LITTLE APRON TO COVER YOU WAIST AREA, WITH TWO ROOMY POCKETS FOR WHATEVER. THE WHITE GETS DIRTIER,BUT ASH WITH BLEACH AND YOU ARE GOOD TO GO! helps prevent nasty food flying on you when your working through a busy shift it gets crazy but it works out no food on cloths. These aprons are great for the price, the stitching doesn't hold up super great so I wouldn't use them constantly, but for events here and there that we hire help for, they are great. The twelve inch by twenty-six inch Choice White Front of House Waist Apron has worked very well. It fits well and I have heard several wait staff comment on the non-slip strings. I would also recommend for the price. When looking for a inexpensive and basic front of house apron we found these waist aprons by Choice. 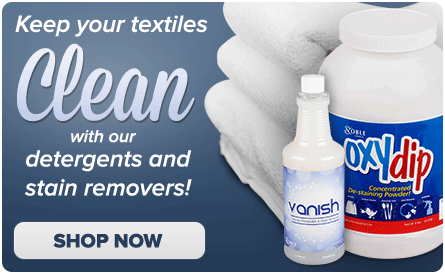 They are priced very competitively and are also machine washable. The white color is prone to getting a dirty and we suggest adding some oxy clean, also found on the site here, to your laundry load. Great aprons for the price. I absolutely love this product! 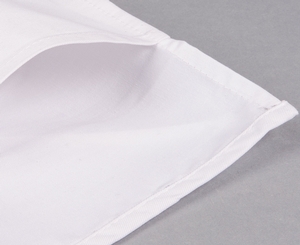 This choice white front of the house waist apron is great quality! This apron has three large pockets on the front! This apron is great for any waitress. Our waitresses love these and recommend to everyone. We will definitely be ordering more very soon. Great price. Great product! While white can look dirty quickly it is a classic look when clean. This waist apron is all white, so it can be bleached to keep it looking nice. I like the look of a clean white apron. It gives waiters and waitresses a clean and prestige look. This apron is of good quality. A server's best friend. The pockets are ideal for straws, pens, ticket book, and other necessary server tools of the trade. They tie securely around your server waist. Used the Choice 24" x 12" White Front of the House Waist Apron to hold pepper seasoning. When I'm cooking at home I put in the pepper after all the food is cooked which is at different times. Now I don't have to worry about misplacing the pepper and can season all the food right away. Nice apron. These are made of a cheap fabric but are perfect for the price. I feel like it's more important to have a lot of them so they can quickly be changed and they do hold up well to washing. The aprons are great! Lots of pockets! Look how great they look on some of our servers at our 2015 Banquet. We will be using these in the future. A neat clean appearance is so important in the food industry. For this price we can afford to have plenty of clean crisp aprons on hand and put our best foot forward. Love these aprons the stitching does come loose eventually but for the price who can argue. And white goes with pretty much everything, will always buy these aprons! This white choice apron is great for the front of the house employees. 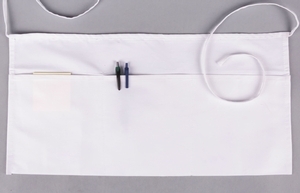 The multiple pockets allow for easy access to utensils that waitresses need, such as straws or pens. We've been using these aprons for our catering events. They are cute and nice. We are very pleased with them. Thank you for providing a quality product. I am extrememly pleased with the White Chef waist apron. I was able to use a homemade iron on transfer paper to put a cute logo for our church event. It looked great! The price was very affordable and the quality of the apron was by far the best that I have seen. 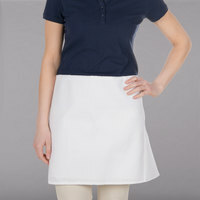 These are great basic white aprons for any waitstaff! Easily holds guest checks and pens! Nice for a bartender as well! A price that cant be beat! !